How much does wedding photography cost around here? Whatever cool items you provide to your guests, we'll shoot! 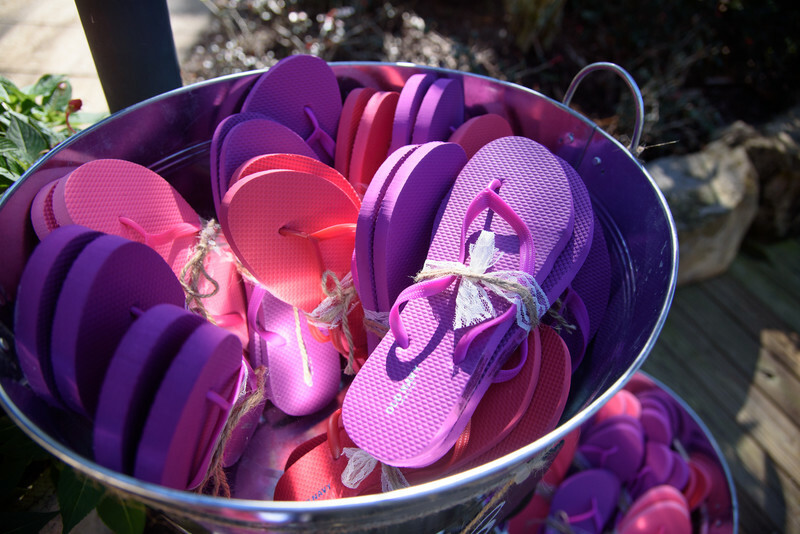 As was the case for these custom wedding flip flops for all the attendees of this wedding at a private residence. You'll see these images in your wedding album as well as we typically dedicate at least one full spread to all your details.